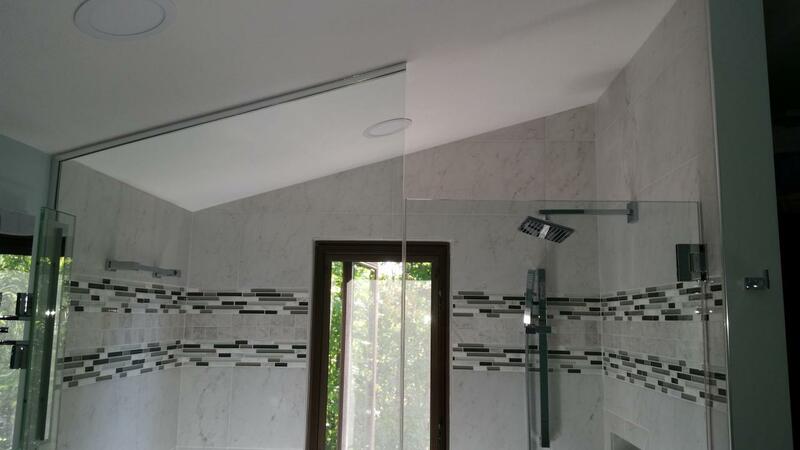 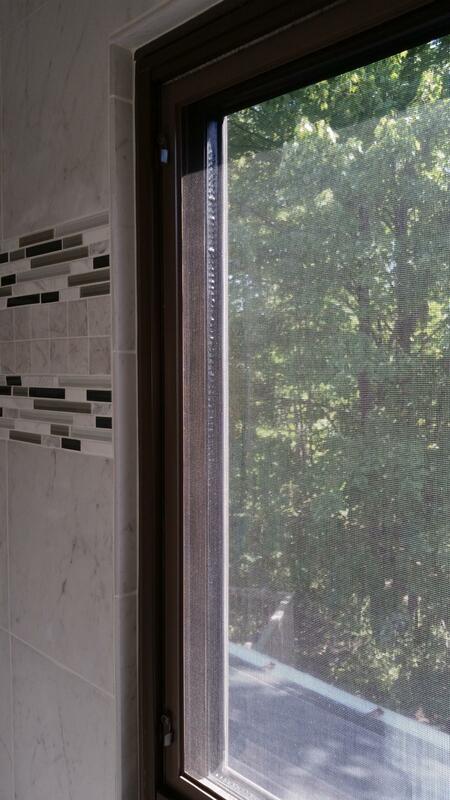 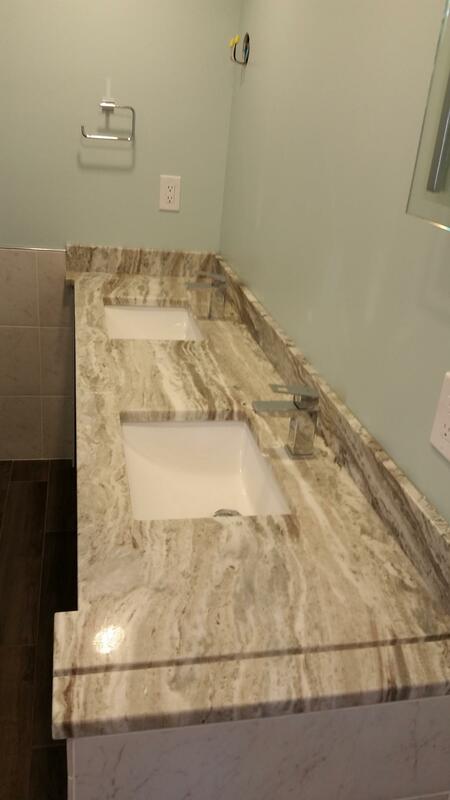 This beautiful contemporary bathroom in Painesville, Ohio 44077 was custom designed and remodeled by Nest Homes Construction. 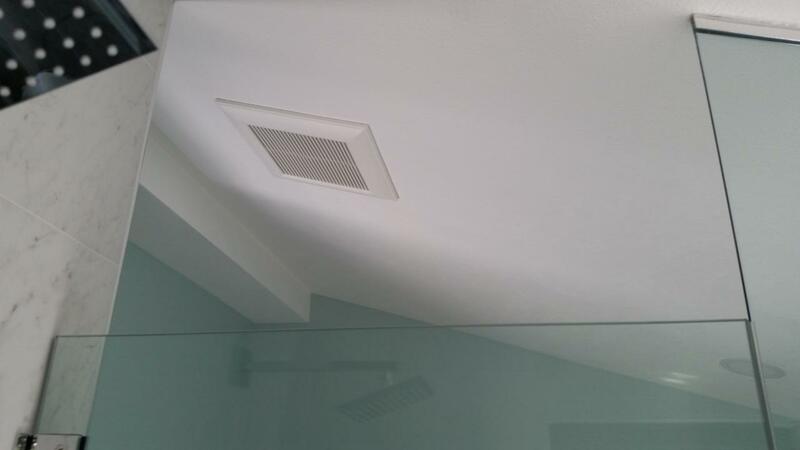 Gutted to the bear studs, floor and ceiling joist enabled us to turn the room around 180 degree. 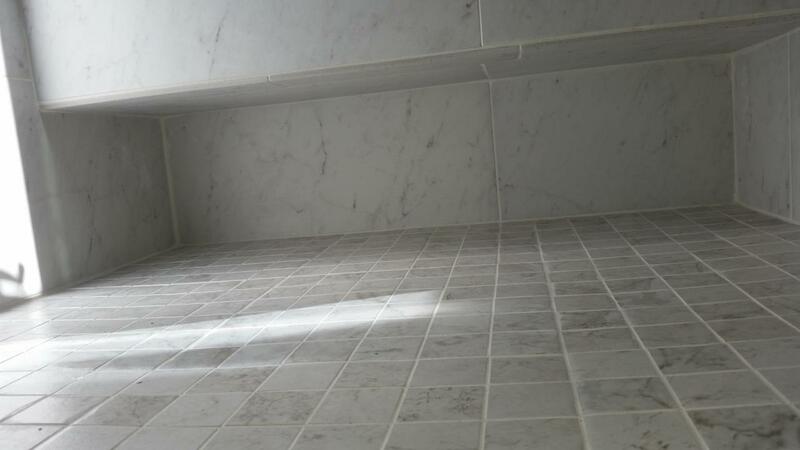 Than removed all attic joists to create a more spacious cathedral ceiling look. 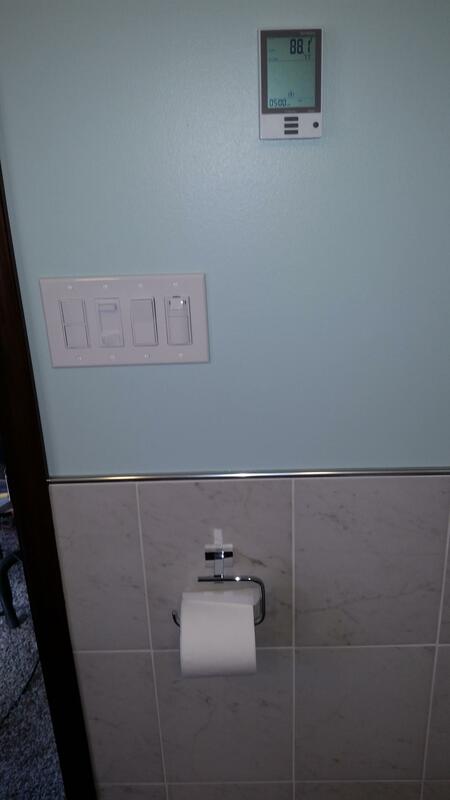 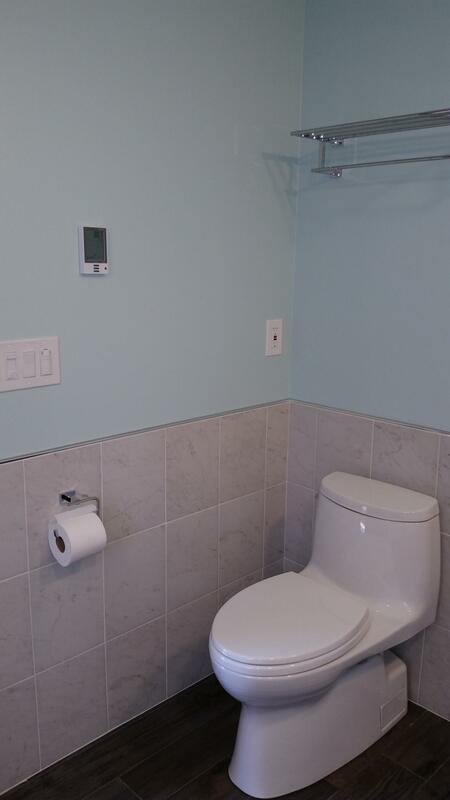 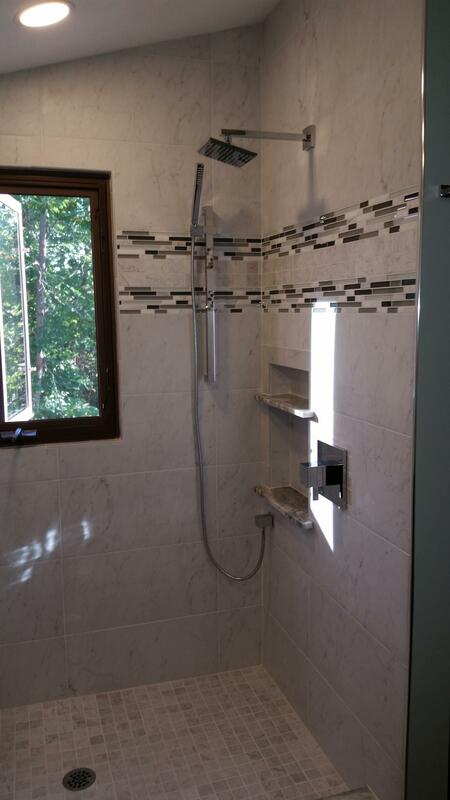 Completely redone plumbing, electric, floor heat, lighting and exhaust fixtures. 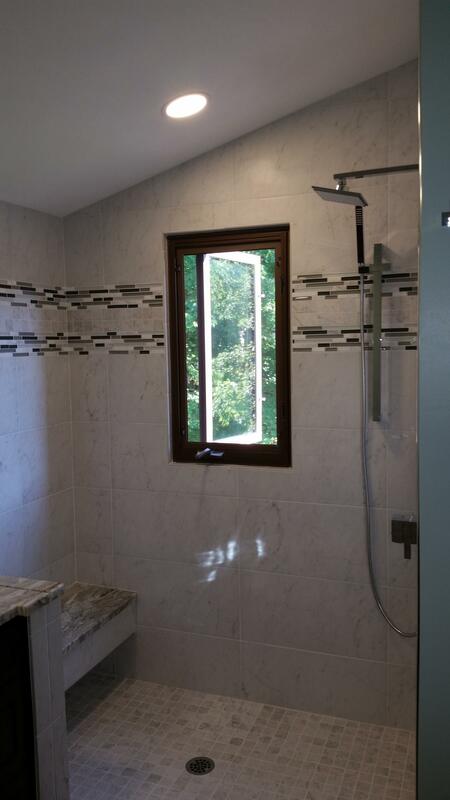 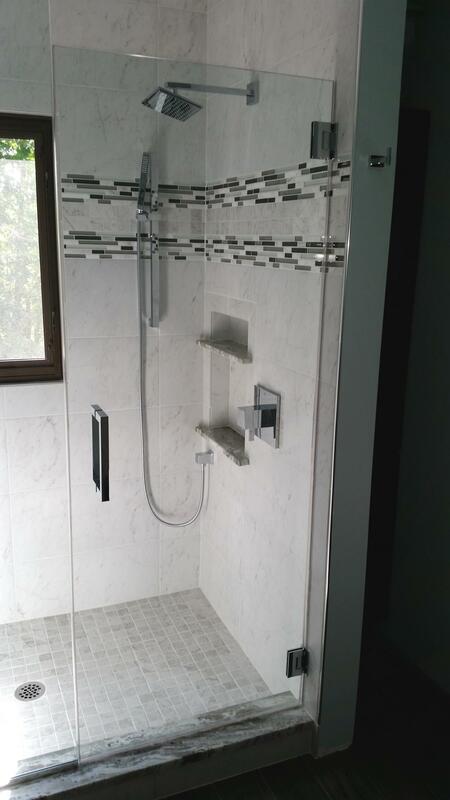 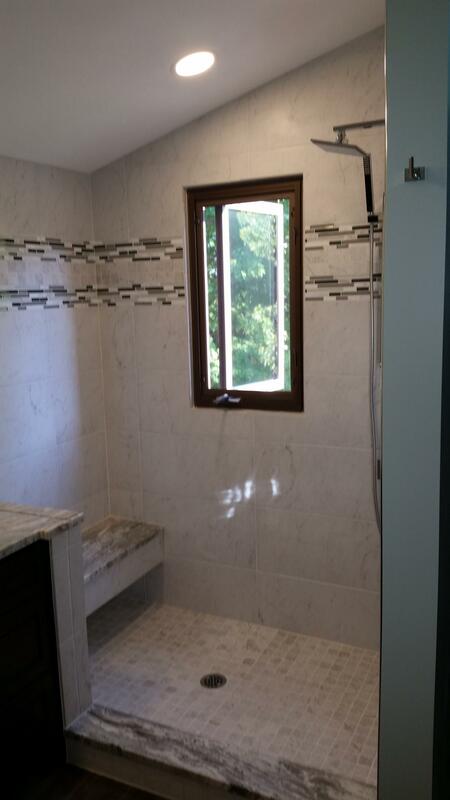 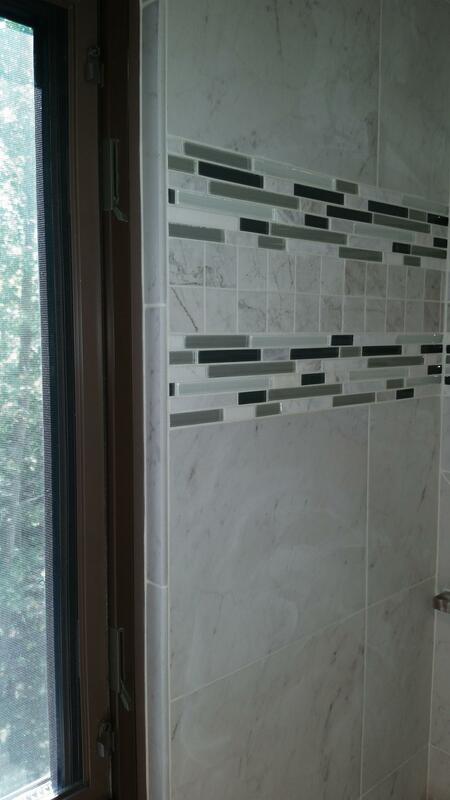 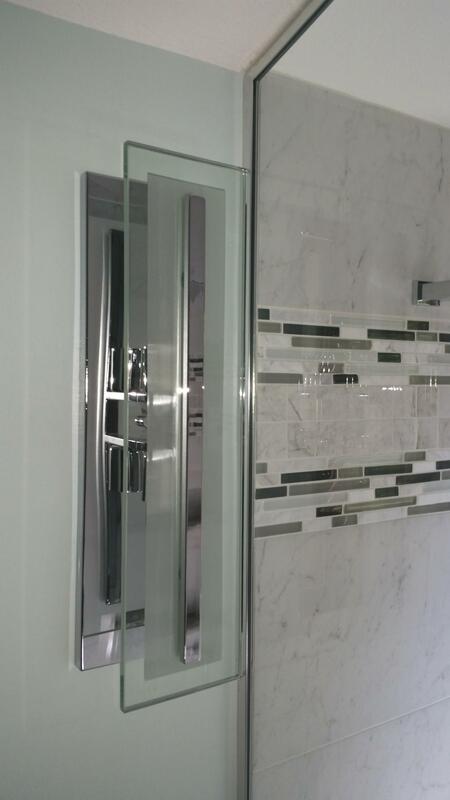 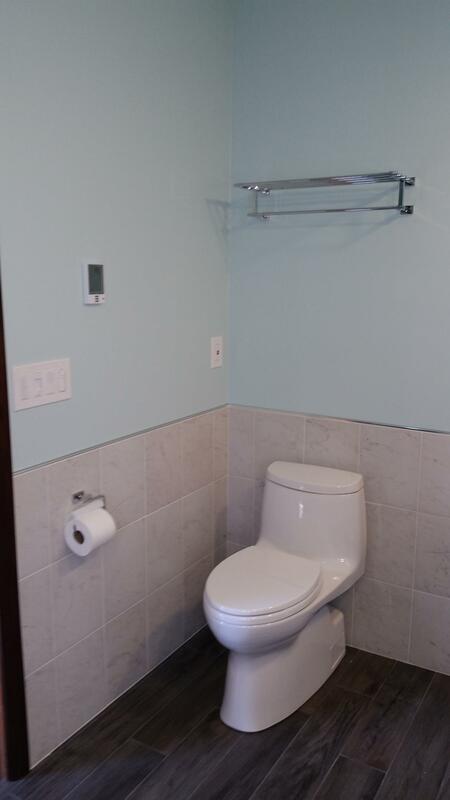 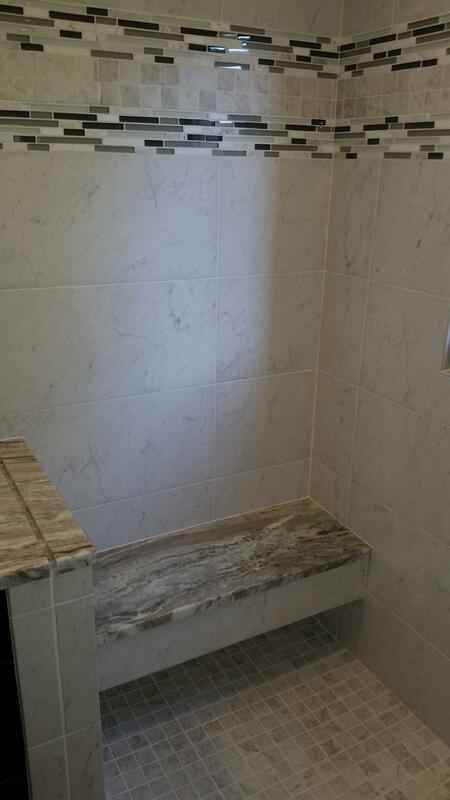 Tiled shower floor and walls with a built in quarts shower seat and wall cabby with shelf for ample storage. 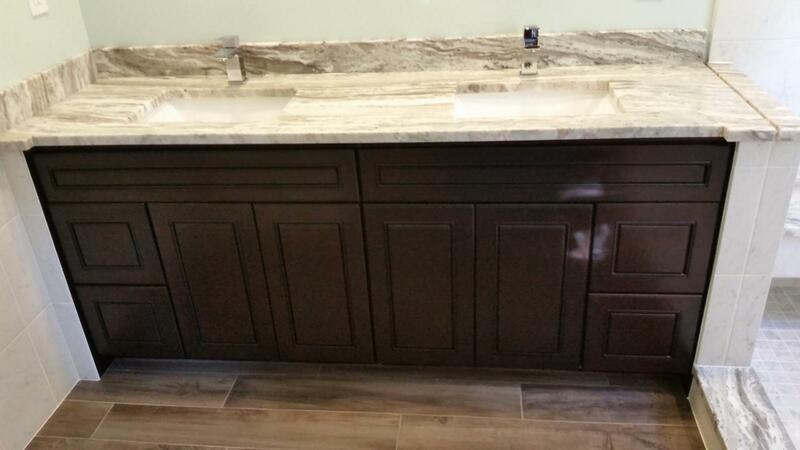 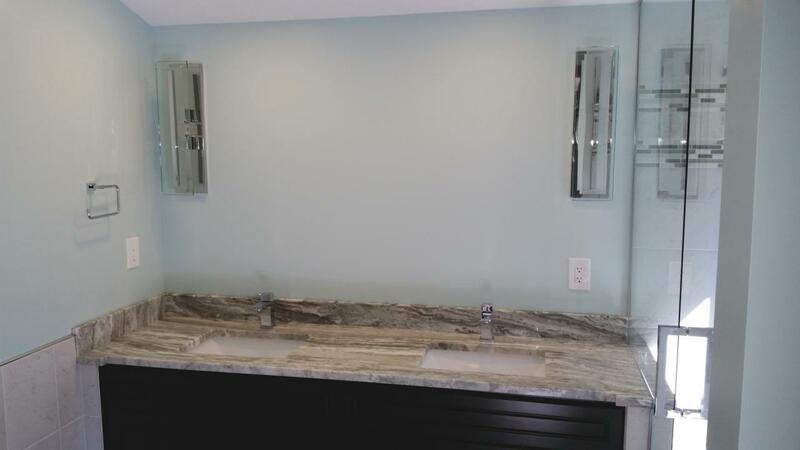 The hardwood vanity cabinet toped of with quartz top and double sinks extending into shower space. 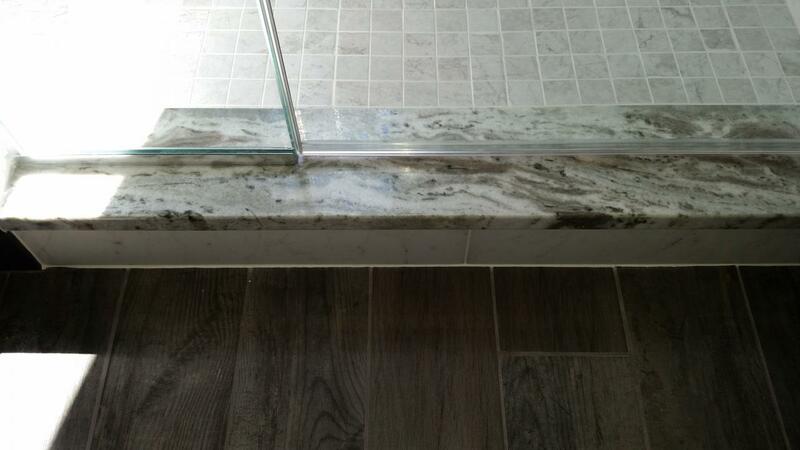 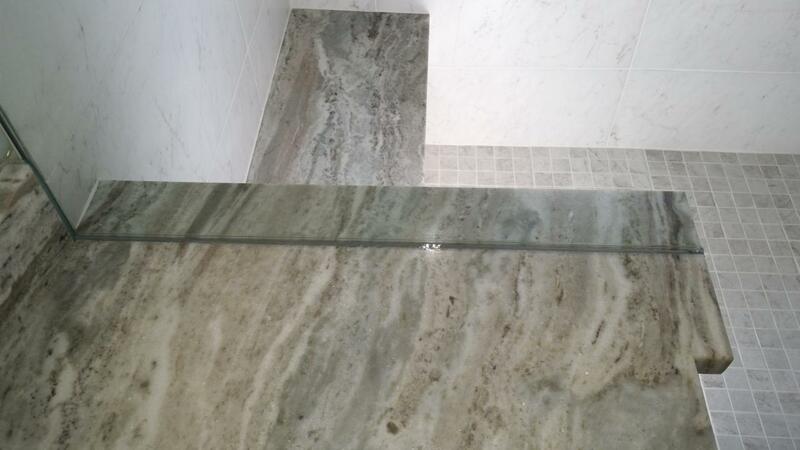 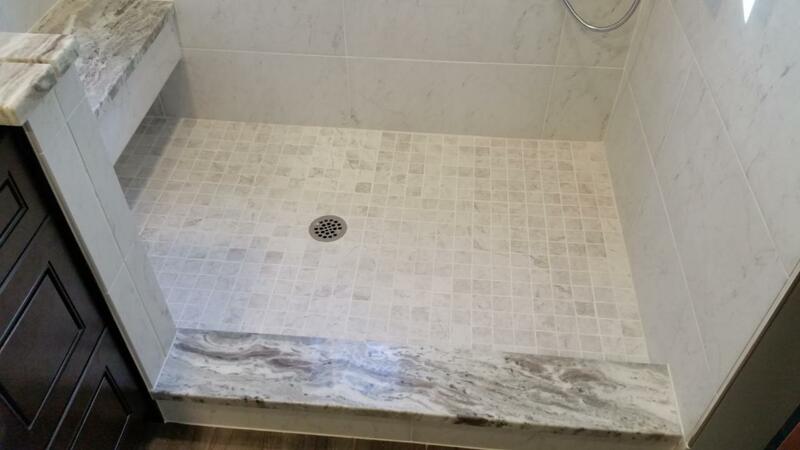 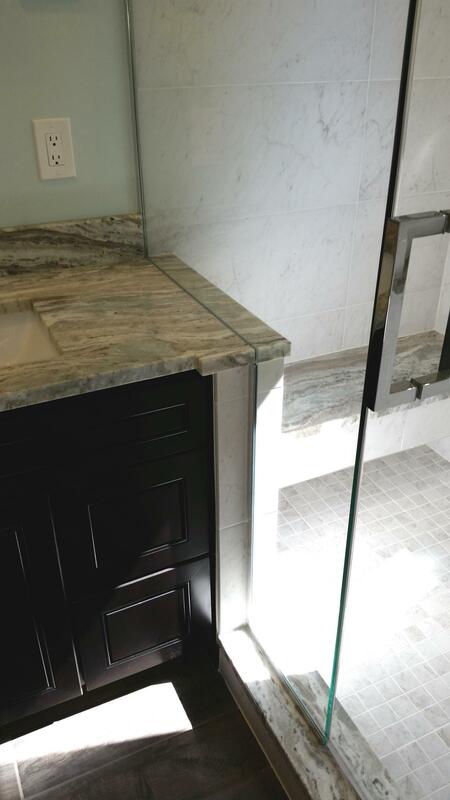 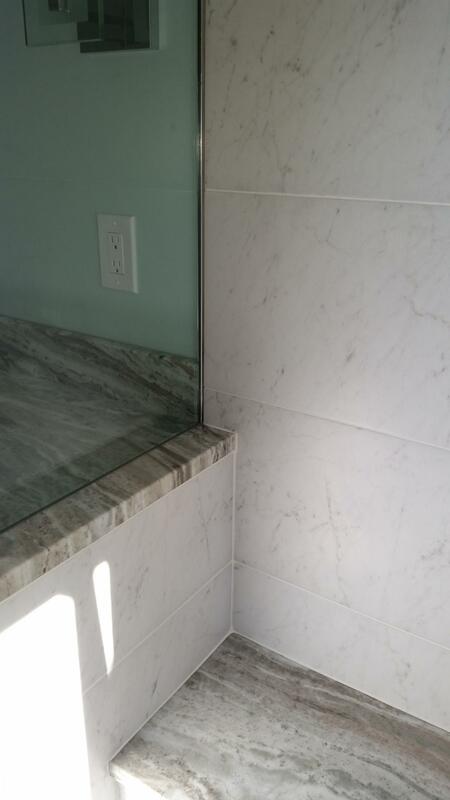 Quartz top notched in to hold custom cut shower grass in place. 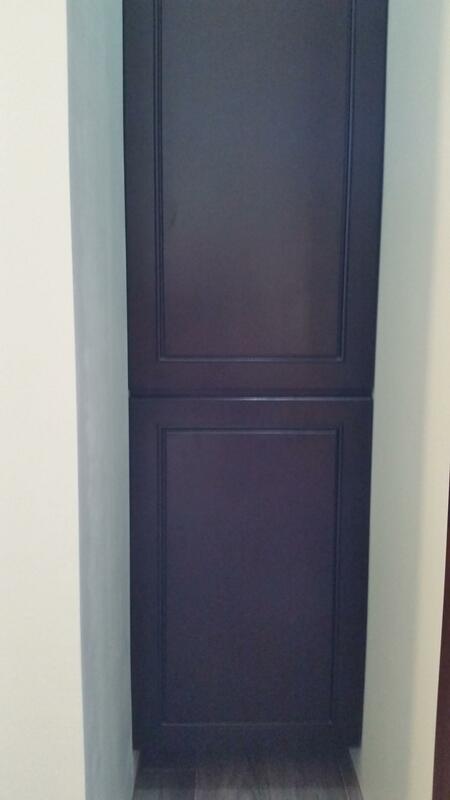 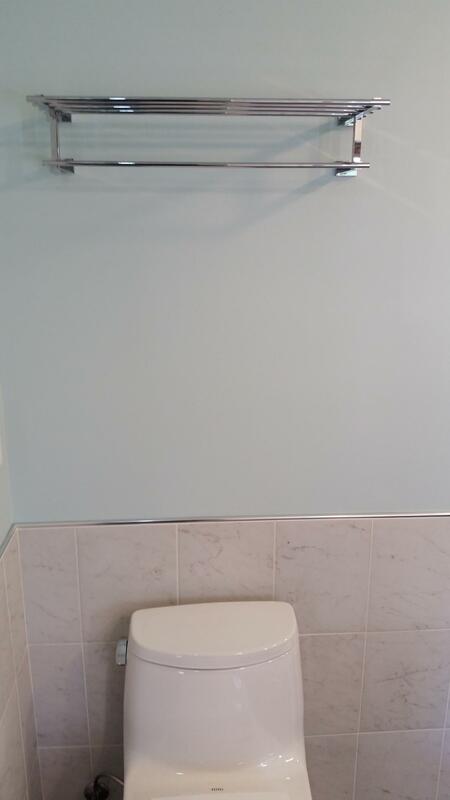 Linen cabinet provides extra space next to shower wall. 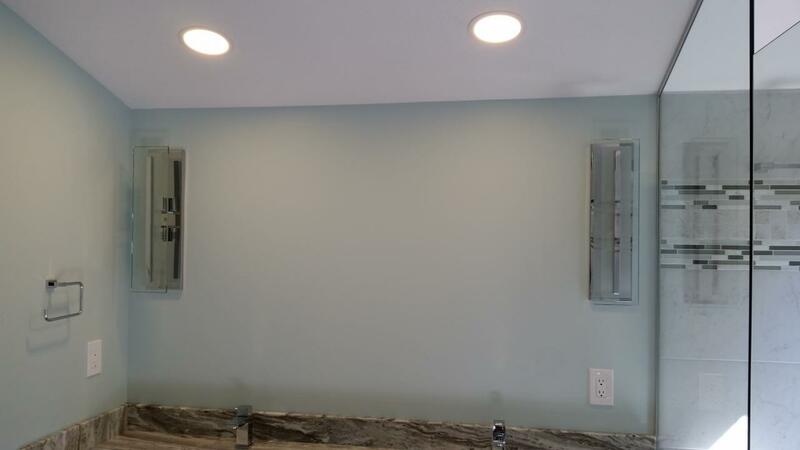 Low consumption LED lighting provides ample brightness in room. 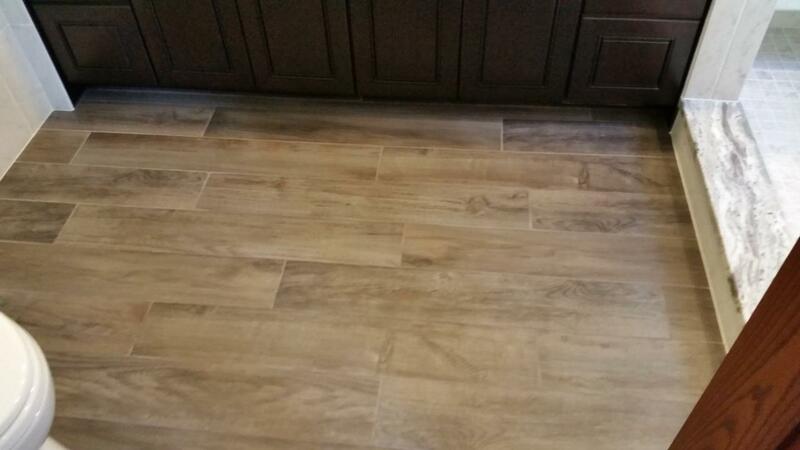 Flooring is finished by a 7” by 36” wood grain ceramic tile, simulating the looks of hardwood floor. 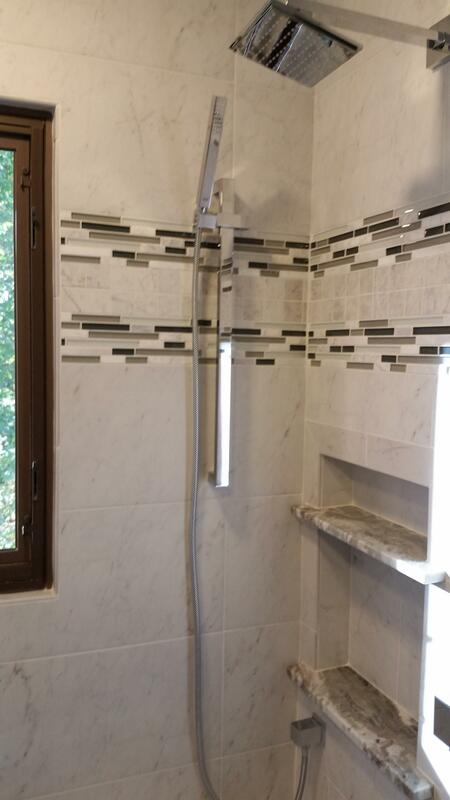 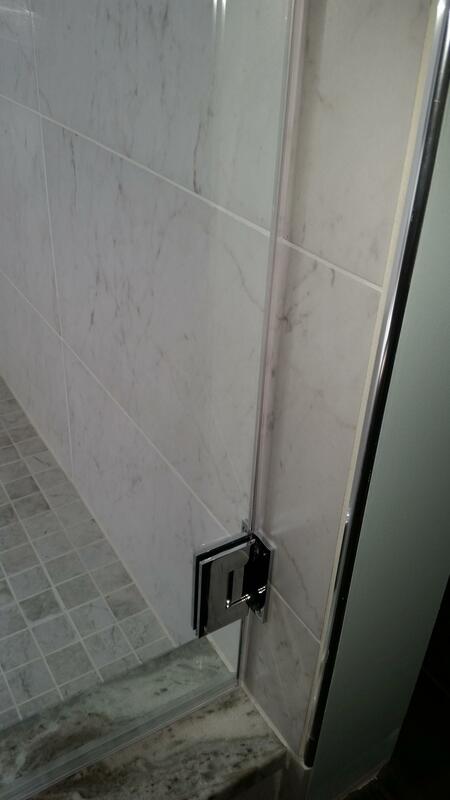 Double shower head provided by a rain shower head and a separate removable hand held flex hose on a height adjustable slide bar.